Don’t be fooled by this innocent looking game. Looks are definitely deceiving in this fast paced, universal, game. 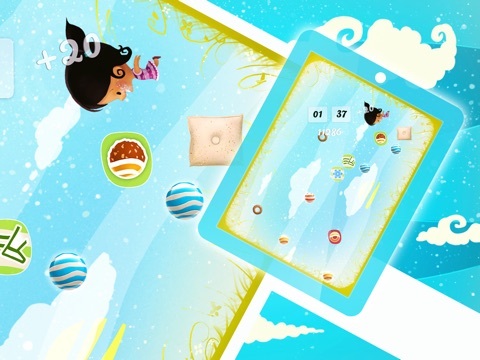 Let’s Eat Sweets will have you tilting and rotating your device like crazy to collect all sorts of sweets. 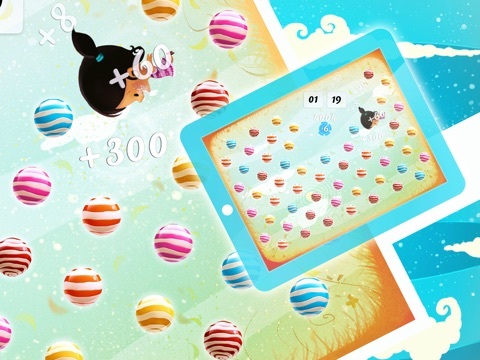 An adorable little girl giggling with delight, peppy music, and vibrant colors, along with the fact that the game is timed, quickly immerses you into a competitive game of dashing about collecting the good objects and avoiding the bad. You will not want to put it down, because you’ll want to continue to see if you can do better NEXT time. 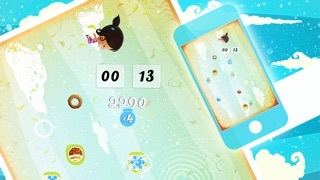 An in-app help describes the scoring and items to be collected and those to be avoided. Eight in-game rewards can be earned. For those using Game Center, there are 34 Game Center achievements and Leader boards. Game Center is not required. You can see your high scores and achievements while in the app. 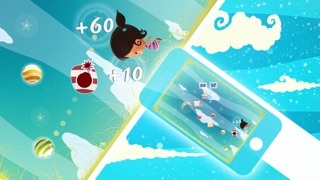 The game is very kid-friendly, but may be too fast paced for some kids. 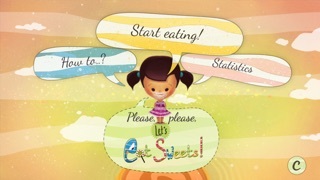 Let’s Eat Sweets changes the theme of the app to reflect the time of day in your location. The app is universal and plays the same regardless of device. It does not contain external links, in-app purchases, social media or ads. Hang on to your device and be ready for more tilting and rotating than the Tilt-a-Whirl at the carnival. 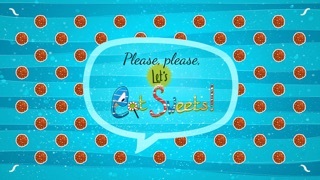 Like the carnival, there are a lot of sweets to be eaten, too. 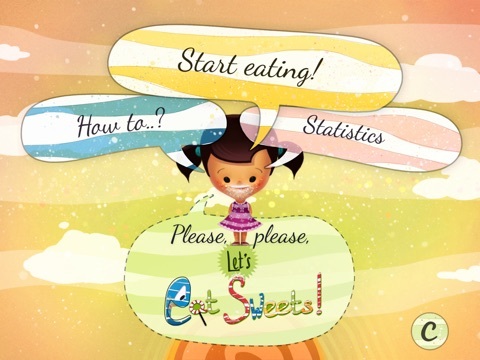 We are pleased to announce the release of our debut game – Let’s Eat Sweets! 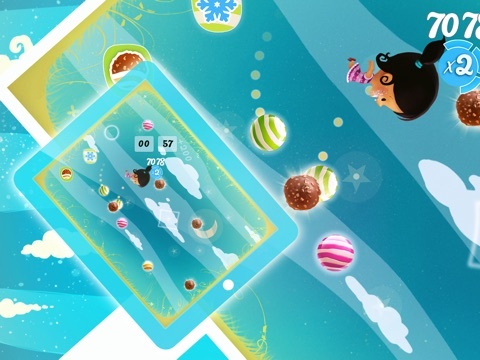 It’s a fast-paced arcade game where the player uses tilt & rotate controls to help a girl collect as many candies as possible within the time limit. The gameplay is spiced with various bonuses and anti-bonuses that provide both additional opportunity and challenge for the players. By earning rewards, it is possible to unlock permanent buffs and unlock additional content, such as an extra dress for the girl, or a bonus level theme. 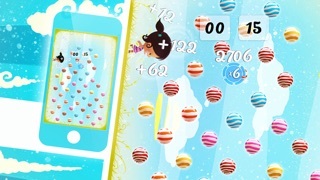 The game has 34 Game Center achievements and leaderboards that rank players both by their best time and highest score. 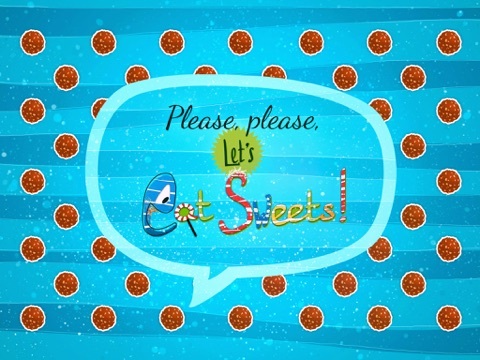 Let’s Eat Sweets features 4 game themes that switch based on the time at player’s location (e.g. night theme after sunset).